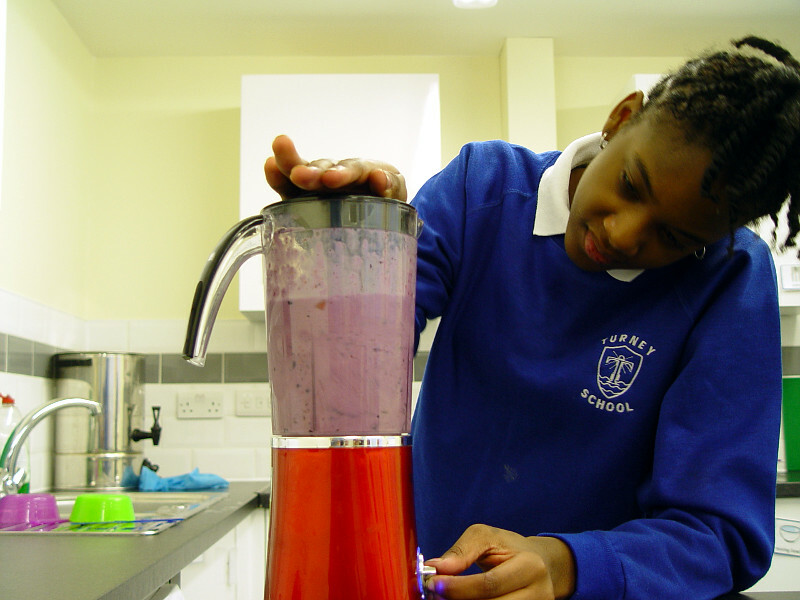 Class 8CM have been taking part in smoothie therapy sessions each week. 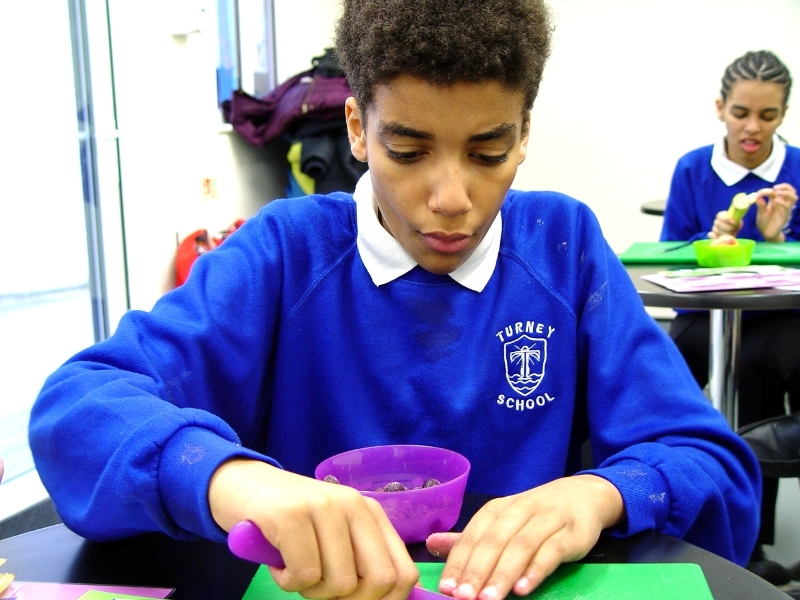 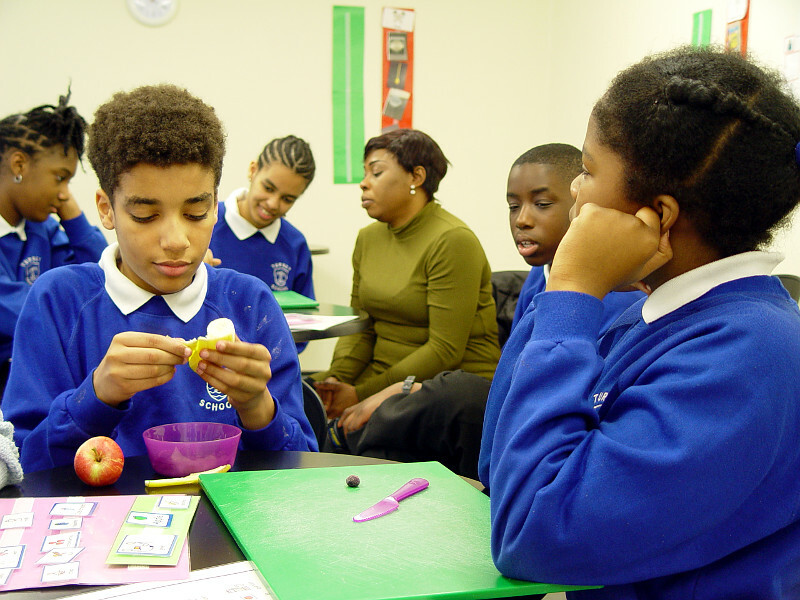 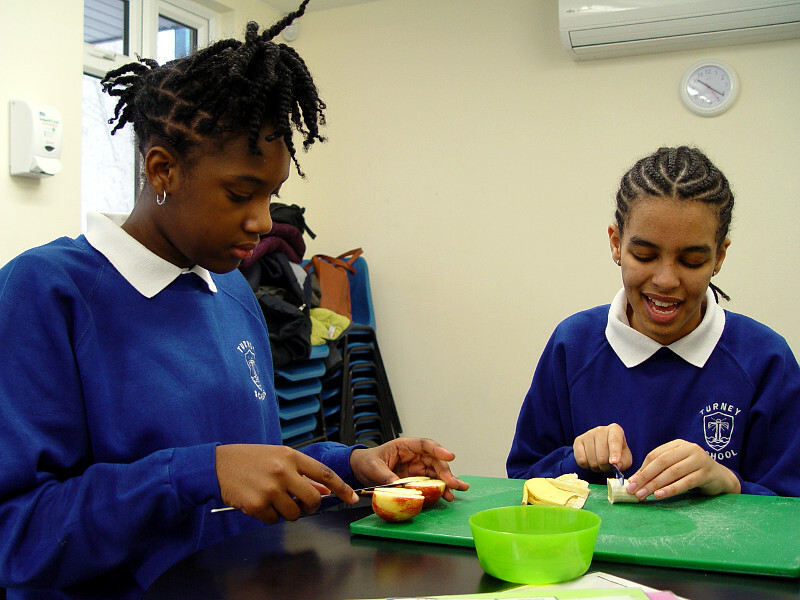 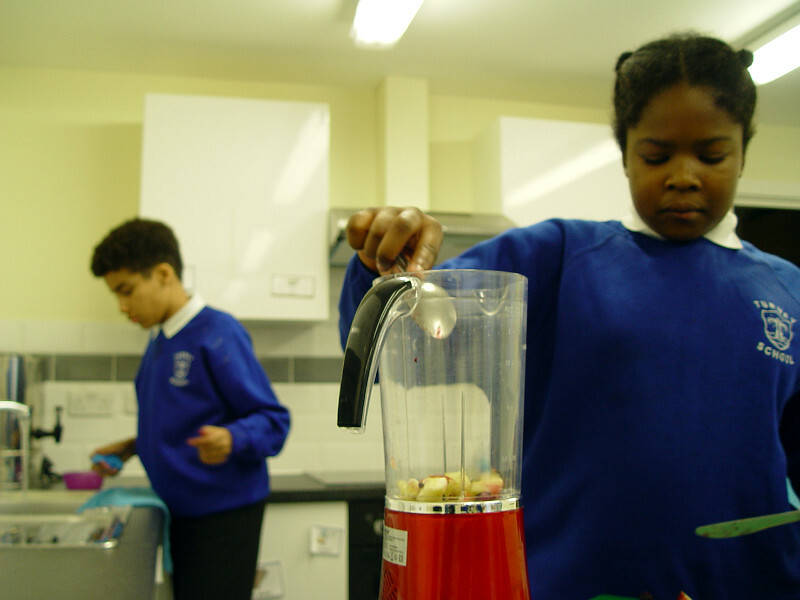 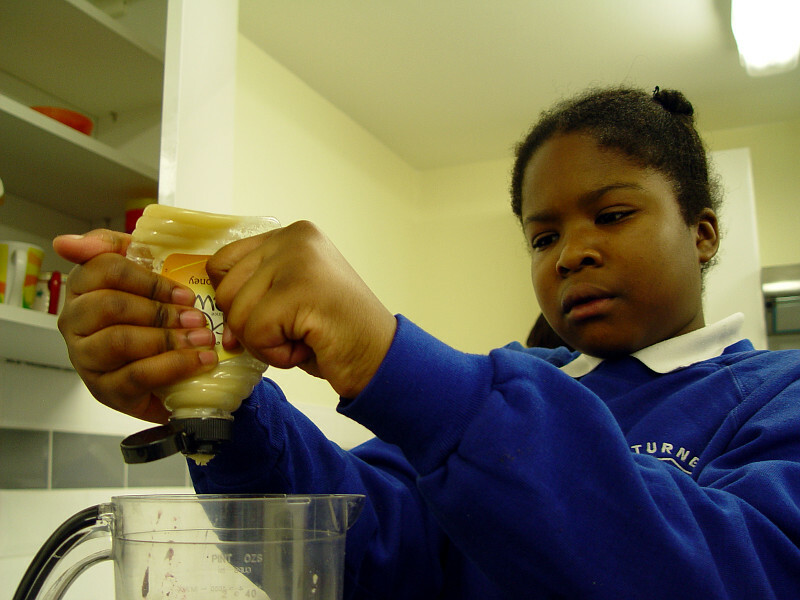 This involves the pupils working together as a team to achieve the aim of preparing a smoothie drink. 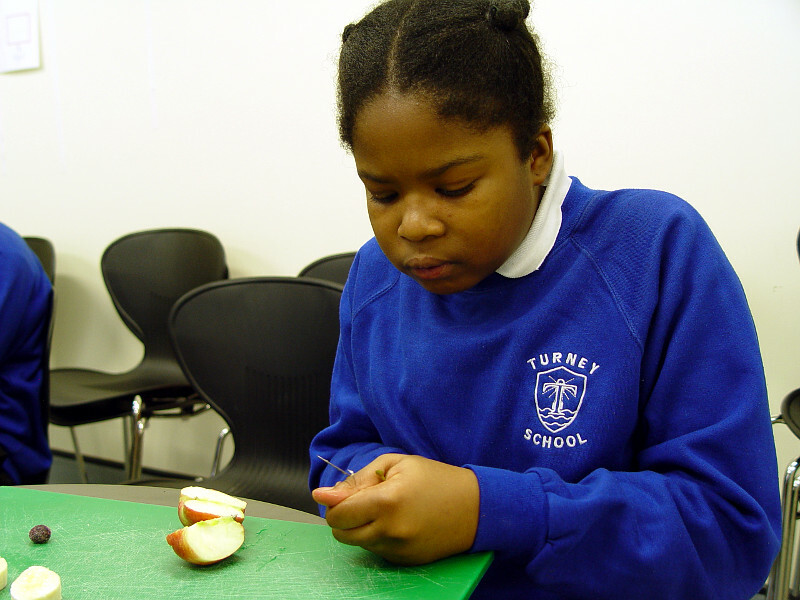 Each Monday the students work in our new Turney School cafe facility. 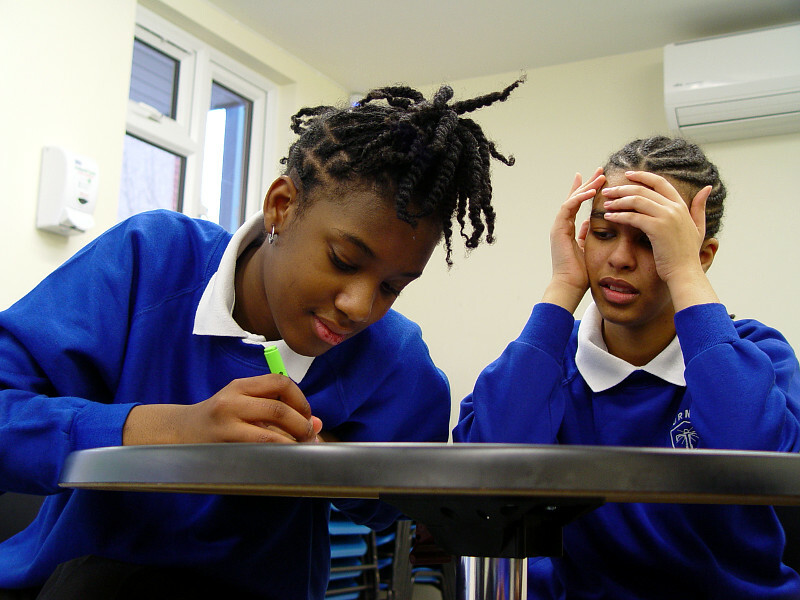 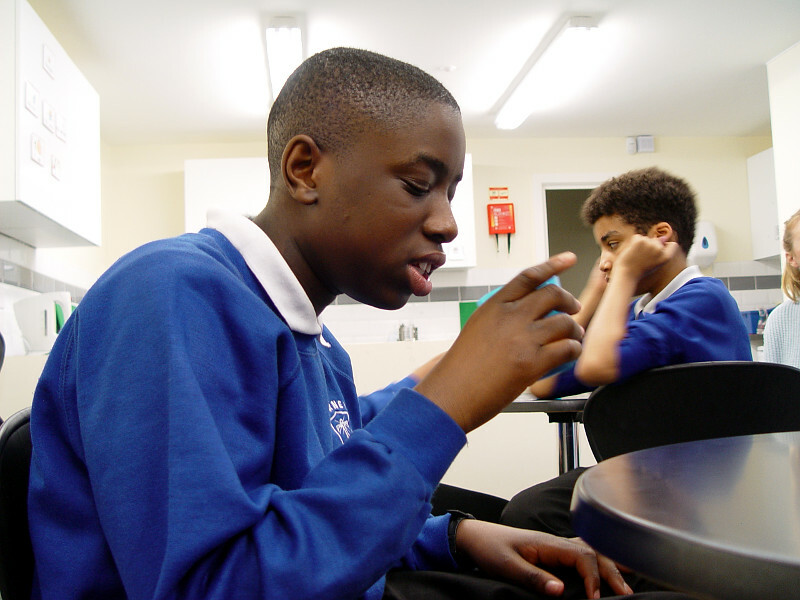 The first task involves choosing the roles for each student. 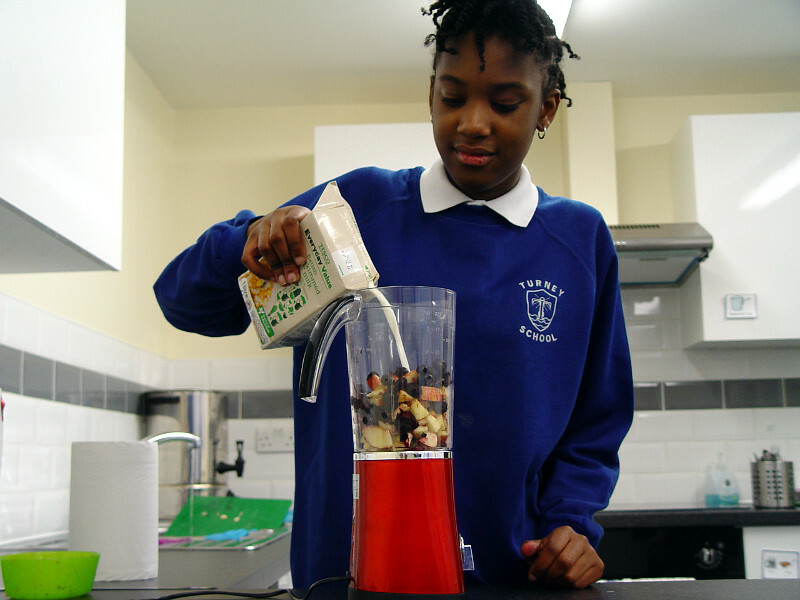 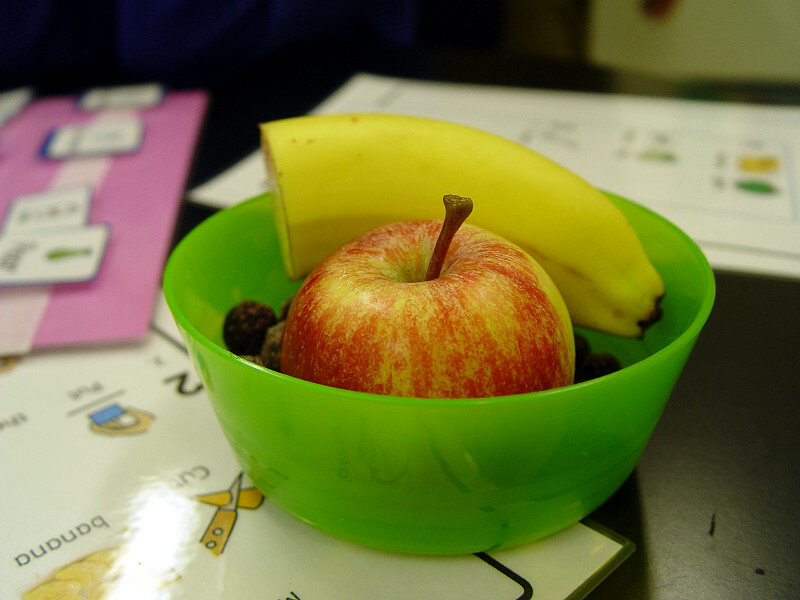 Our smoothie team needs a shop keeper, a head chef and a helper for the chef. 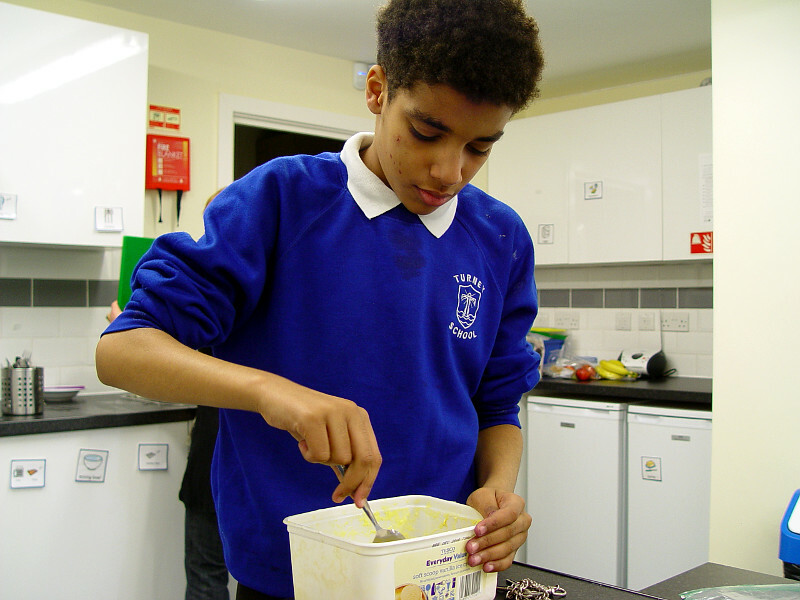 The head chef is in charge of the work. 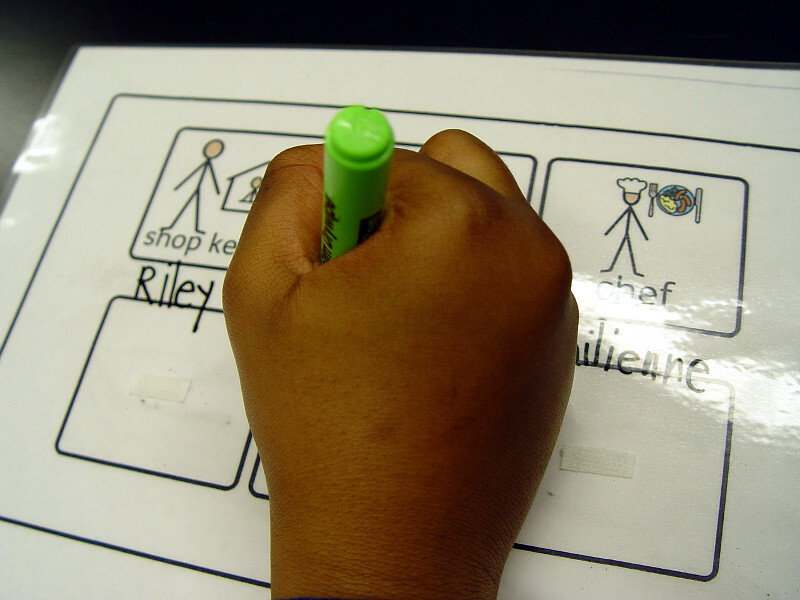 The Picture Exchange Communication System is used to help tell team members what tasks need to be completed. 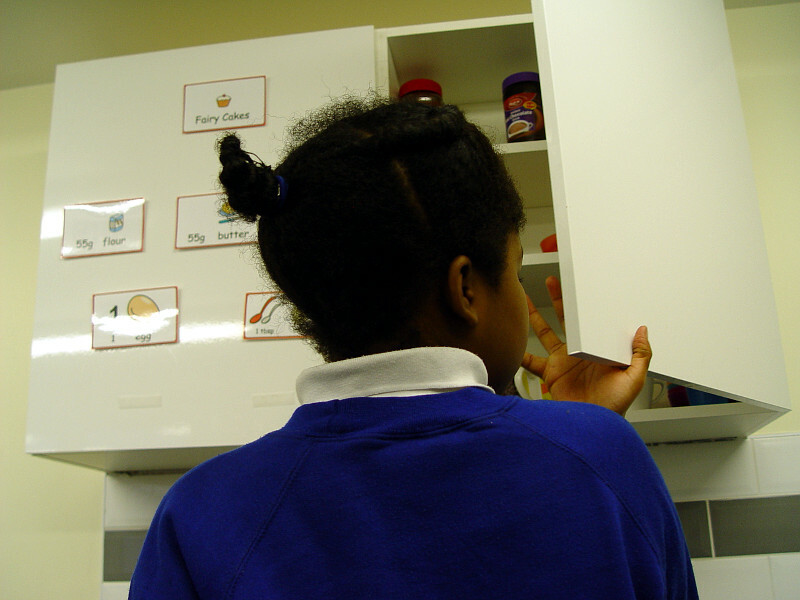 These include finding the cooking equipment and preparing the ingredients. 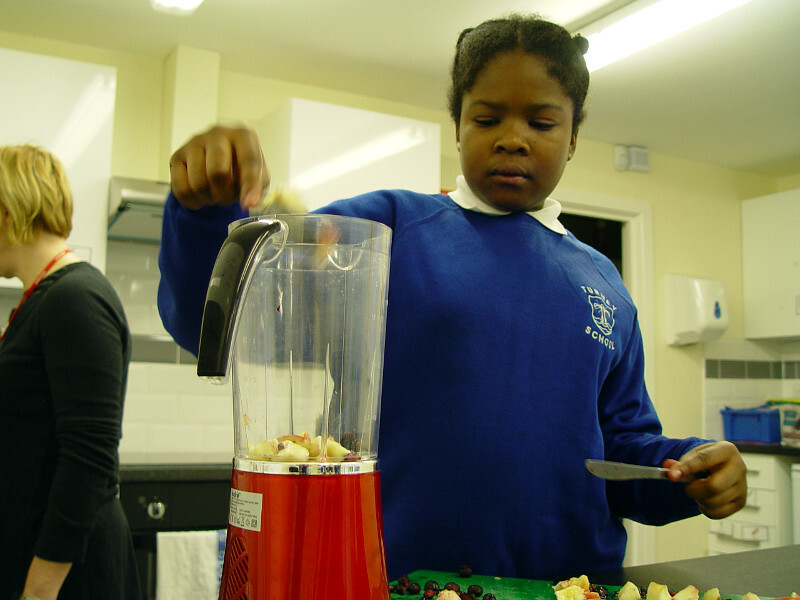 Instructions are then given by the head chef to make the smoothie. 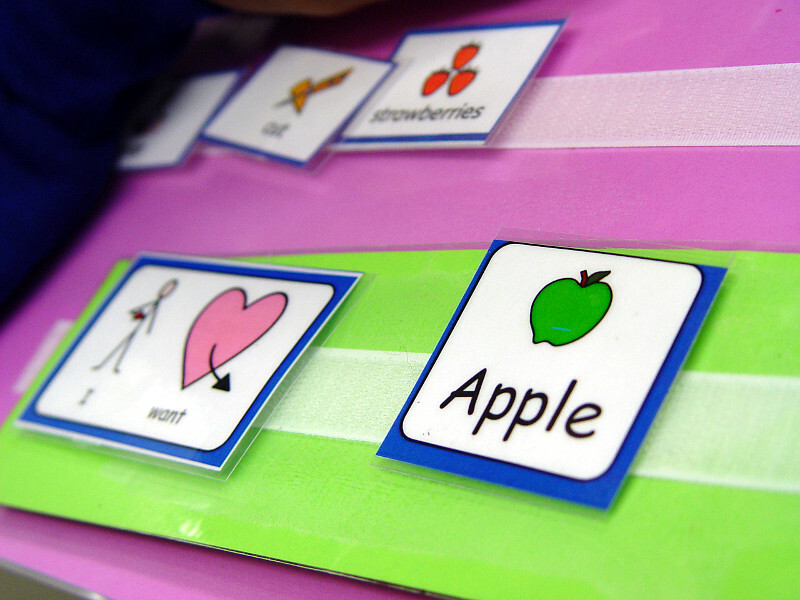 The PECS board contains phrases such as chop the apples and use the mixer. 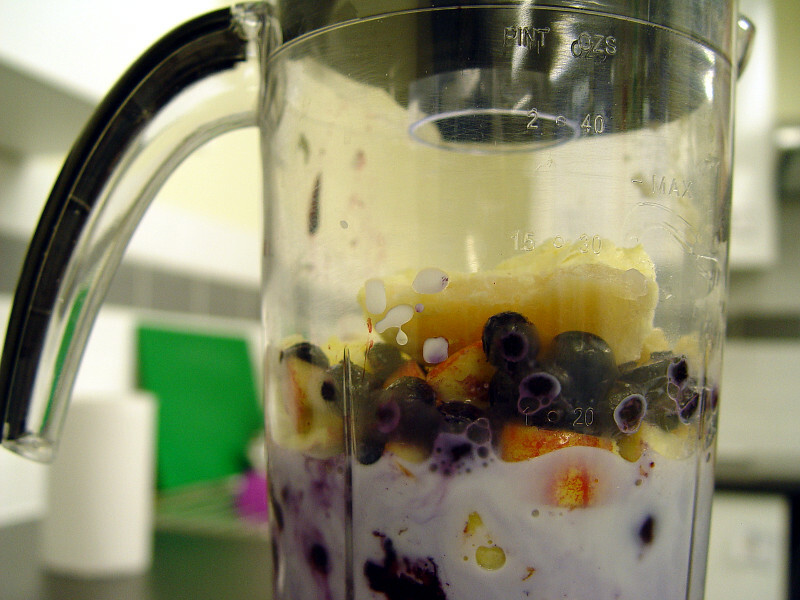 The final part of our smoothie session is to sit back and enjoy the healthy taste of our fresh smoothies. 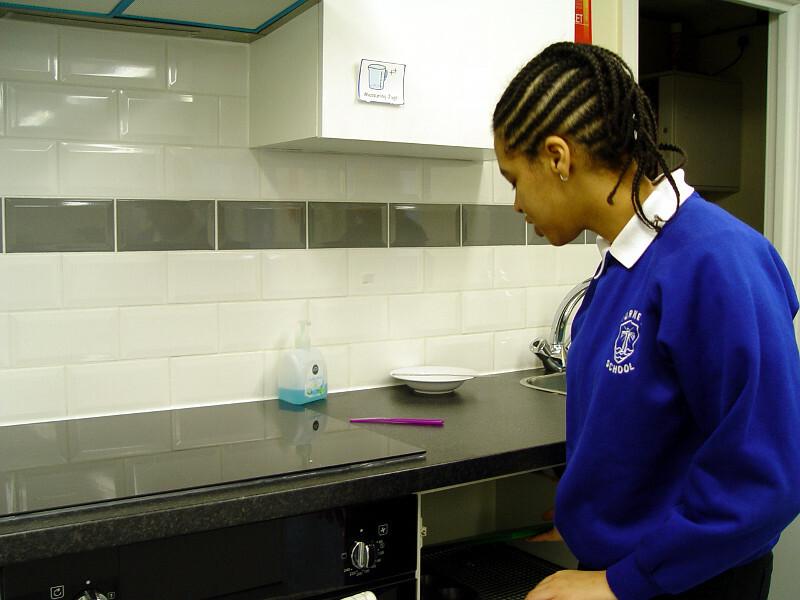 The pupils are asked to comment on what they can taste and if they enjoy the drink.